Jerry learned of CBM while a student at Davis Bible College, then known as Practical Bible Training School in Binghamton, New York. He served as the South Central Pennsylvania Director of CBM at Camp Joy-El and saw the Released Time Bible Program grow from 70 students attending weekly to over 2500 students attending. In 1971 he married the former Marie Little of Gray, Tennessee. Jerry would say he may be the National Director, but Marie has seniority over him. She memorized her 300 verses in the public school, under the CBM program, and attended the CBM camp, Camp Ta-Pa-Win-Go, as a child and stayed with the program through her teen years. Jerry and Marie are parents of two married daughters and the proud grandparents of seven grandchildren. Marie has been supportive of Jerry in his various endeavors. Jerry had the privilege of serving as the director when Camp Joy-El was built in 1972. 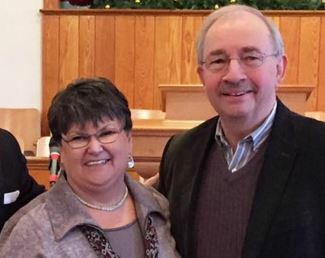 After laboring 17 years in Pennsylvania he accepted the call to serve as the National Director of CBM and saw the CBM National Office move from Lakeland, Florida, to Gatlinburg, Tennessee. He then served as the Associate Pastor at the Open Door Church in Chambersburg, Pennsylvania, and as Director of Development for the Cumberland Valley Christian School. He returned to CBM in 2000 and serviced as National Director for years. The first time for 6 years and then the next term was 10 years. Now retired, he is still servicing CBM as Volunteer Director and Marie is PR Manager.